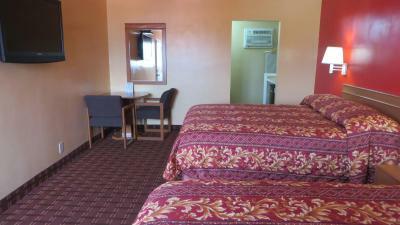 Lock in a great price for Friendship Motor Inn – rated 8.4 by recent guests! Good shower. Good breakfast. Great tv. Comfortable bedding. Great mirrors. Good WiFi. Very Friendly manager. Rooms and the grounds are all well maintained. Excellent management. The owners, they were incredibly friendly and really helpful. Didn't do much other than sleep here. 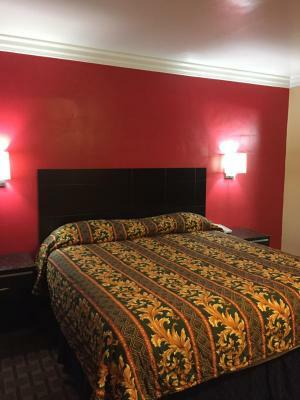 Staff is awesome, location to Downtown is great, only 40 from LAX and for staying at a budget place I am not really sure you can possibly beat this place for the $. Staff locked my luggage safely away until room was ready. Room was really nice and big. Pretty calm. The owner was very friendly and gave many useful travel advice to us. The administrators are kind and also the personal. The space is quiet and friendly. Very good location. Coffee and Juices were really good. Might want to consider adding breakfast sandwiches. They can be done in the microwaves in the room. Quick and easy and out the door. Everything was great. I would honestly stay here again when I come back to L.A. Check in was easy, and rooms were extremely clean. Owner super friendly, plus I felt safe staying there. 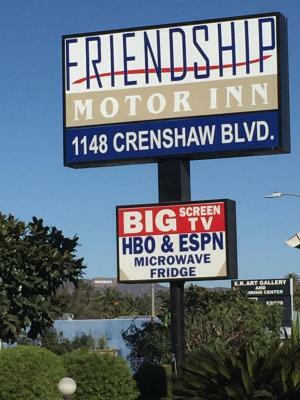 Friendship Motor Inn This rating is a reflection of how the property compares to the industry standard when it comes to price, facilities and services available. It's based on a self-evaluation by the property. Use this rating to help choose your stay! 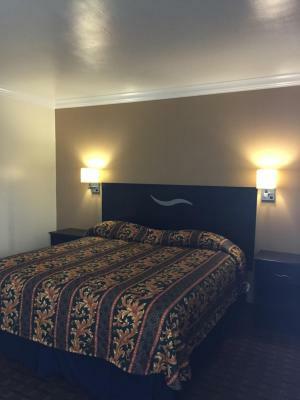 One of our top picks in Los Angeles.Located 1 miles from Koreatown Galleria, this Los Angeles motel features air-conditioned rooms with free Wi-Fi. 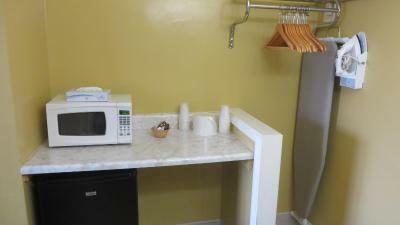 It serves a daily breakfast with coffee, juices, and pastries and offers free guest parking. 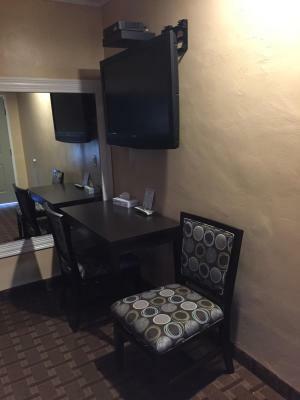 A mounted flat-screen TV with satellite channels is offered in every guest room at Friendship Motor Inn. 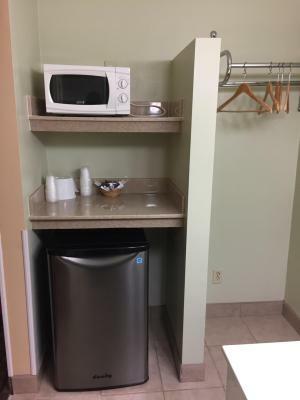 Decorated in soft colors, each room includes a microwave and a mini-fridge. 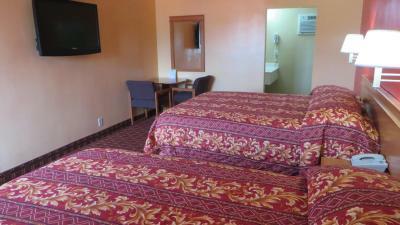 A 24-hour reception greets guests of Friendship Motor Inn. Vending machines featuring snacks and drinks are available. 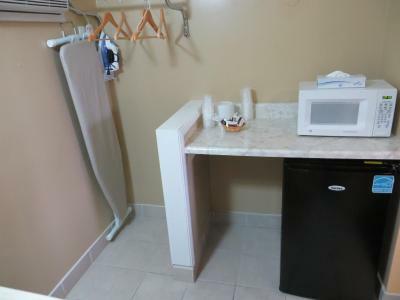 Staples Center is 10 minutes’ drive away from this motel. 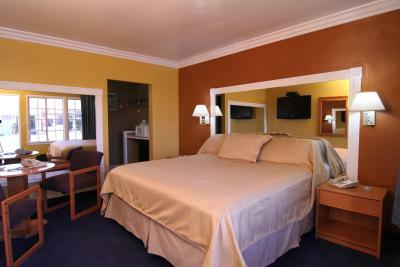 Within 3 miles of this motel, guests will find Los Angeles County Museum of Arts and The Grove LA Shopping Center. 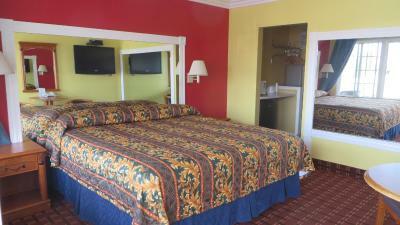 When would you like to stay at Friendship Motor Inn? 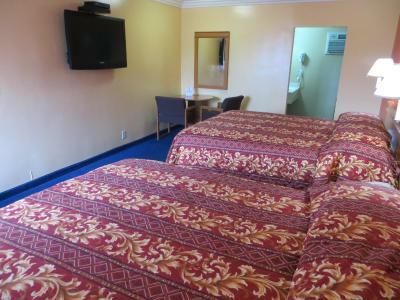 Featuring free Wi-Fi, this air-conditioned room includes a flat-screen TV with satellite channels, a desk, a microwave and a mini-fridge. House Rules Friendship Motor Inn takes special requests – add in the next step! 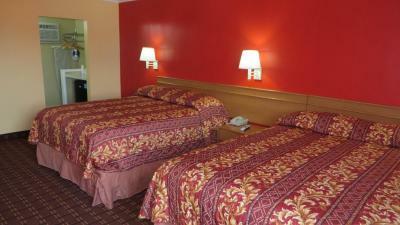 Friendship Motor Inn accepts these cards and reserves the right to temporarily hold an amount prior to arrival. Please note: Guests will be charged a USD 200 penalty fee if they smoke in a nonsmoking room. One free parking space may be reserved per room. Please note: Late checkouts are not allowed. Please note: to confirm any special requests, please contact the hotel directly through your Booking.com messaging or by phone. Please note: the property does not accept packages for guests and does not have any space for storage. Any packages delivered to the property will be rejected and sent back to sender. We were closest unit to street and so it was noisier than usual. Charging for ice was a little odd, especially since there are many nice amenities included. An extra pillow would have been much appreciated. Also, when searching for my charger, I dared to look between the mattress and headboard. A word of advice- don’t do that. A more thorough cleaning wouldn’t go amiss. The owner was very friendly, even though we checked in very late. He was the highlight of the property. The bed was large and over fairly comfortable. The owner was extremely friendly and helpful. Location was extremely convenient for everything we wanted to do and see. Great value for money. Weirdly I found it hard to get cold water at the sink. It appears they charge for ice - it was late and I didn’t have quarters. Breakfast room could be bigger but this is just a suggestion than complaint as such. Friendly and helpful host, extremely gracious and accommodating manager of the property. You can see the Famous Hollywood sign from this location quite easily. Breakfast was delicious and hearty. Wide selection of hot beverages available was the bonus. 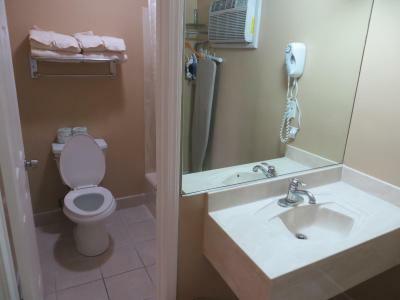 Nothing really other than the incredibly strong cleaner smell when I first checked in but it wore off. If slightly sketch urban areas and no glam places are not your thing then take a pass on the is place but honestly the area is fine, and for the price and downtown proximity you really cannot beat this place. The quilt is too thin.